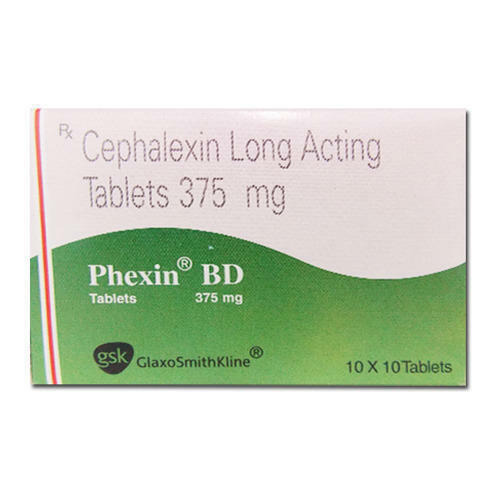 We are a leading Exporter of cephalexin tablets, almox, nitrofurantoin tablets, doxycycline hydrochloride capsules, althrocin drops and moxiflox tablet from Mumbai, India. 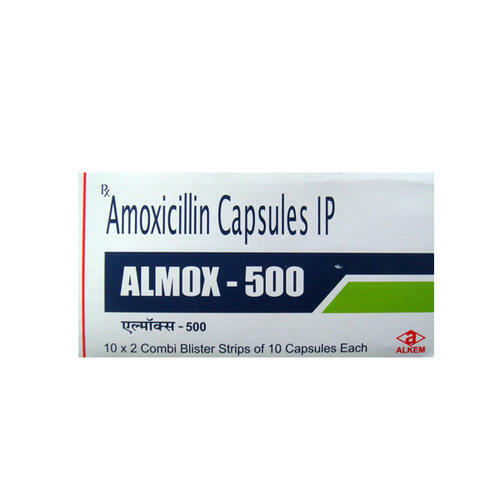 Almox 500 MG Capsule is an antibiotic that is used for treating a wide variety of bacterial infections of the lungs and airways, middle ear, sinuses, skin, urinary tract, etc. This medicine is not recommended for treating a common cold, flu, or other viral infections since it is not effective in treating these infections. 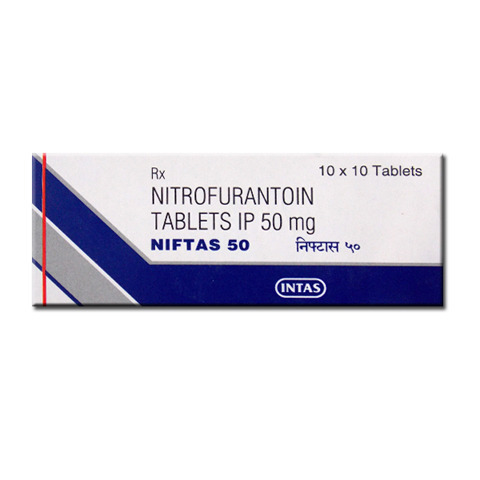 Niftas 100 MG Tablet SR is a bactericidal antibiotic which helps treat urinary tract infections. It is used with caution in patients with the kidney injury. This medicine is not used in children less than 3 months due to the risk of hemolytic anemia. 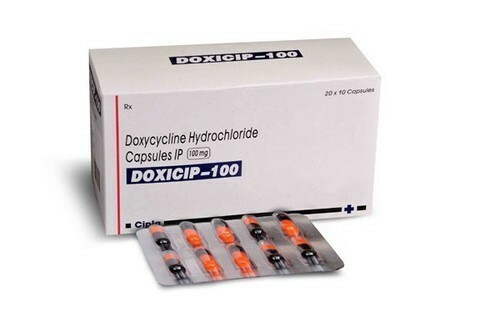 Doxicip 100 MG Capsule is an antibiotic which is used in the treatment of infections in the lungs, reproductive organs and also used as prophylaxis for malaria. This medicine may cause teeth discoloration in the children. It may increase the risk of sunburns when exposed to the sunlight. 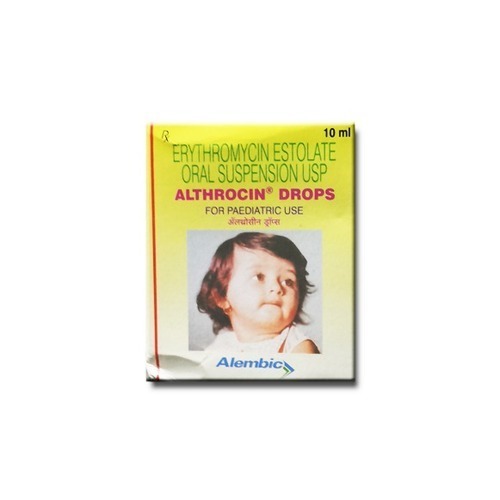 Althrocin 100 MG Drops is a macrolide antibiotic which is used to treat infections of the lungs, throat, ear, etc. caused by bacteria. This medicine is not recommended for use in case of a common cold, flu, or other viral infections since it is active against infections caused by bacteria only. 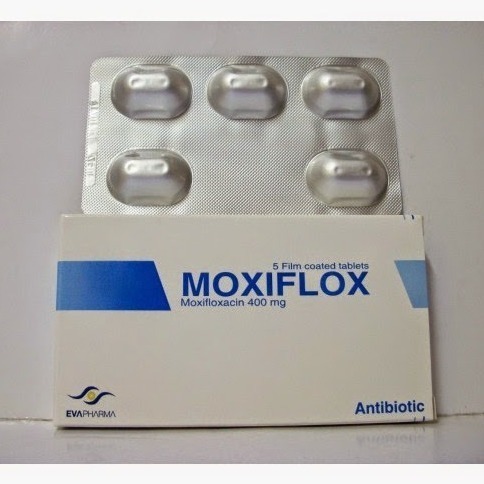 Moxiflox 400 MG Tablet is a broad-spectrum antibiotic that is used to treat a variety of bacterial infections such as bronchitis, pneumonia, intraabdominal infections, etc. This medicine should be used with caution in the elderly population since it increases the risk of tendinitis and tendon rupture. It is not recommended for use in patients less than 18 years of age. 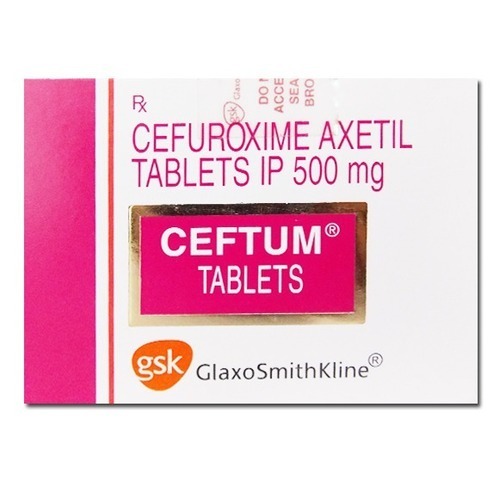 Ceftum 500 MG Tablet is a broad-spectrum antibiotic used to treat a variety of conditions such as Lyme disease; infections of the ears, lungs, urinary tract, etc. caused by bacteria. This medicine should be used with caution in patients with a history of kidney diseases. 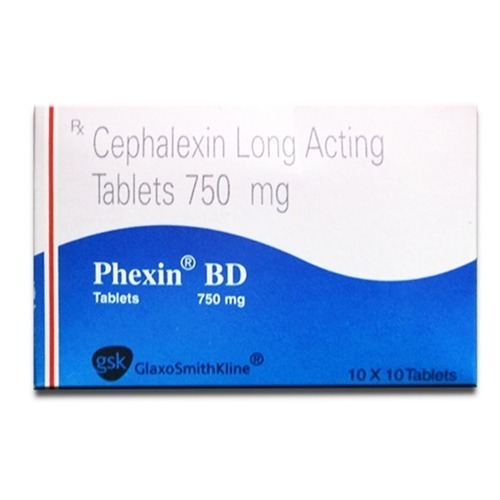 Phexin Bd 750 MG Tablet is a broad-spectrum antibiotic used to treat a variety of bacterial infections. It is used to treat infections of the skin, ear, bone and urinary tract. Use with caution if you have a known disease. Do not take this medicine if you have a known allergy to penicillins and cephalosporins group of antibiotics. Manufactured By Menarini India Pvt. 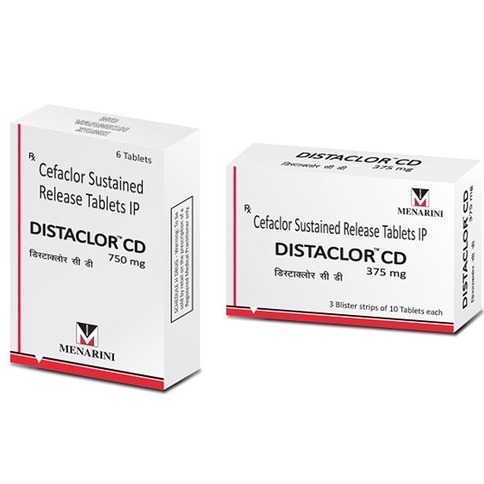 Ltd.
Distaclor CD 375 Tablet is a broad-spectrum antibiotic used to treat a variety of bacterial infections including skin infections, throat infections, respiratory infections, etc. This medicine is not recommended for use in case of a common cold, flu, or other viral infections since it is active against infections caused by certain bacterial species only. It is not recommended for use in patients less than 1 month of age. Dose/Strength (ex. 1 mg or 1 ml) 3million/i.u. 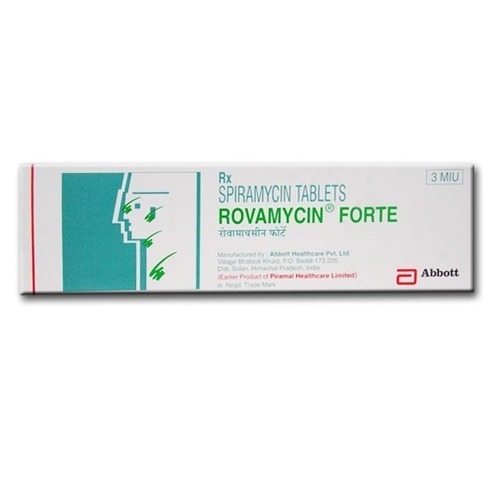 Rovamycin Forte Tablet is a macrolide antibiotic which is used to treat bacterial and parasitic infections of the respiratory tract, mouth, skin, and soft tissues. It is used to treat toxoplasmosis infection in pregnant women under specific circumstances which are clinically determined. It may also be used to treat gonorrhea in patients who are allergic to penicillin. 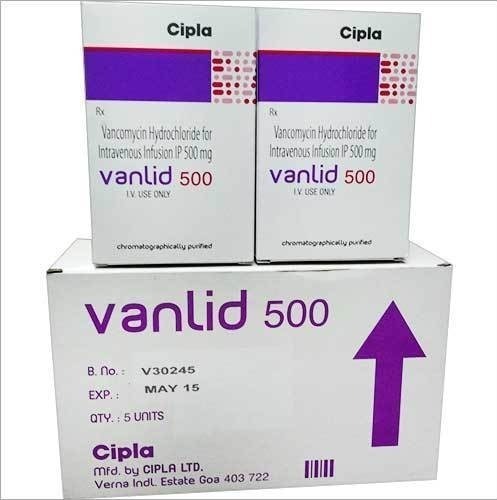 Vanlid 500 MG Injection is a bactericidal antibiotic. It is used in the treatment of infection of the intestine, blood, heart, and bone. Only the oral form of this medicine is used to treat colitis. Rapid intravenous infusion of this medicine may lower the blood pressure. 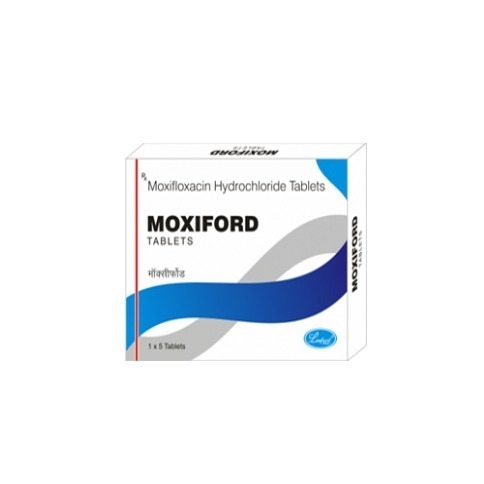 Moxiford 400mg Tablet is a drug that belongs to the cluster of quinolone antibiotics that is administered to remedy bacterial infections. However, this medicine will not work for viral infections such as flu and the common cold. This antibiotic works by preventing the growth and further infestation of bacteria. Remember that using an antibiotic repetitively for trivial issues or for problems not caused by bacteria will lead the bacteria to become resistant to that antibiotic. Thus the antibiotic will lose its efficacy over a period of time. You must drink sufficient fluids unless of course advised otherwise. 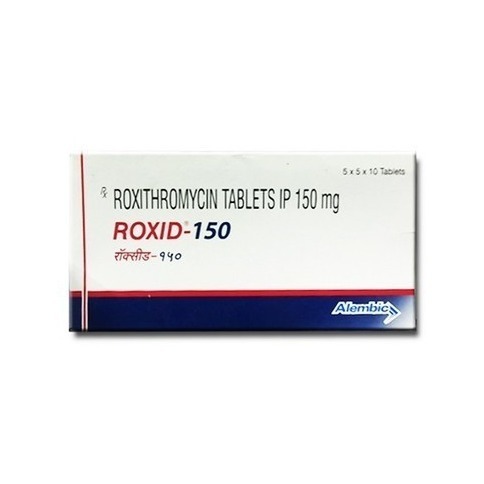 Manufacturer Blue Cross Laboratories Ltd.
Roxithromycin 150 MG Tablet is a semi-synthetic macrolide antibiotic used to treat a variety of bacterial infections. It is used to prevent and treat bacterial infection of the lungs, airways, urinary tract and inner layers of the skin. 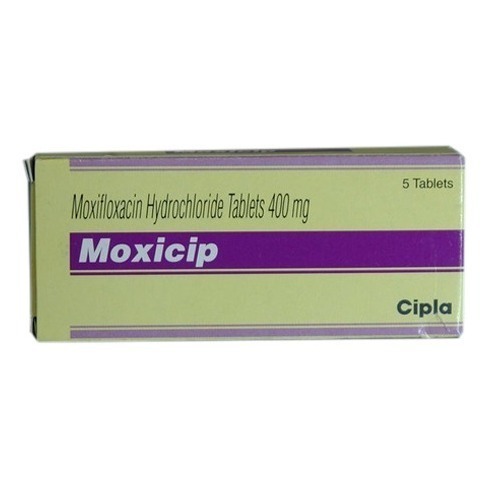 Moxicip 400 MG Tablet is a broad-spectrum antibiotic that is used to treat a variety of bacterial infections such as bronchitis, pneumonia, intraabdominal infections, etc. This medicine should be used with caution in the elderly population since it increases the risk of tendinitis and tendon rupture. It is not recommended for use in patients less than 18 years of age. 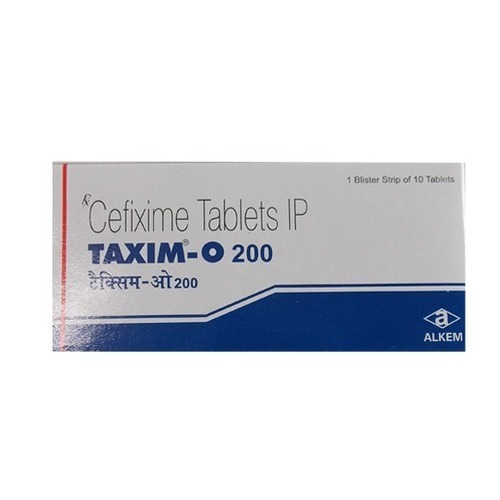 Taxim O 200 MG Tablet is a broad-spectrum antibiotic used to treat a variety of conditions such as urinary tract infections, throat infections and lung infections caused by bacteria. This medicine is not recommended for use in case of a common cold, flu or other viral infections since it is active against the infections caused by certain bacterial species only. This medicine is not recommended for use in patients less than 12 years of age. 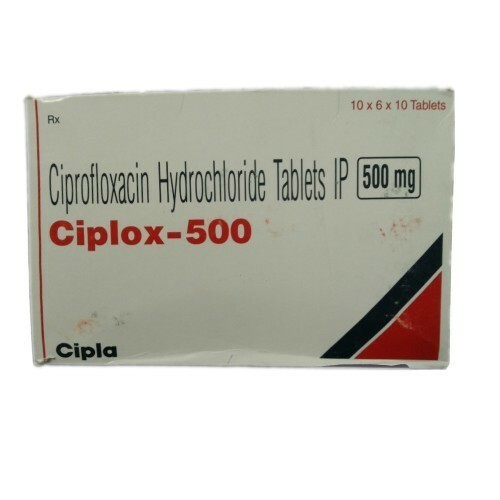 Ciplox 500 MG Tablet is an antibiotic that is used to treat a variety of bacterial infections such as bronchitis, pneumonia, gonococcal infection, etc. This medicine is not recommended for use in case of a common cold, flu, or other viral infections since it is active against infections caused by bacteria only. This medicine should be used with caution in the elderly population as it increases the risk of tendinitis and tendon rupture. 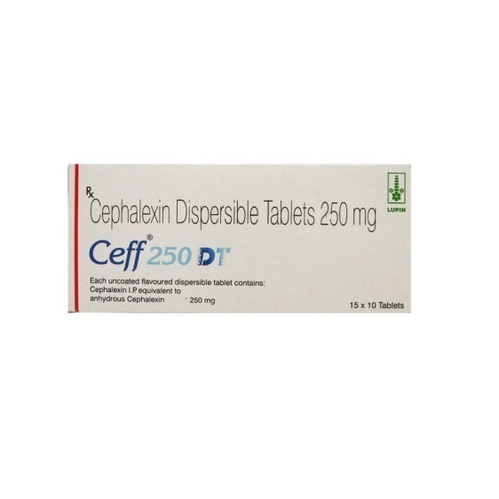 Ceff 250 MG Tablet DT is a broad-spectrum antibiotic used to treat a variety of bacterial infections. It is used to treat infections of the skin, ear, bone and urinary tract. Use with caution if you have a known disease. Do not take this medicine if you have a known allergy to penicillins and cephalosporins group of antibiotics. 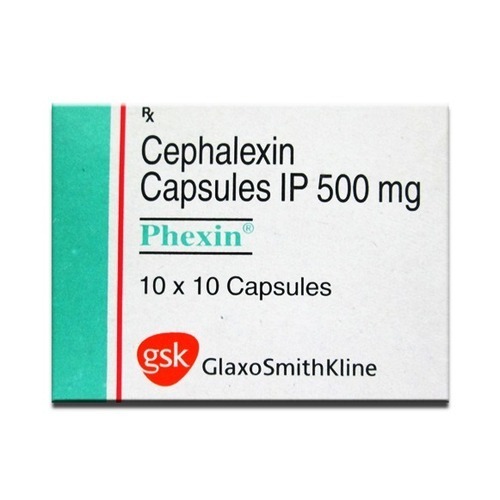 Phexin 500 MG Capsule is a broad-spectrum antibiotic used to treat a variety of bacterial infections. It is used to treat infections of the skin, ear, bone and urinary tract. Use with caution if you have a known disease. Do not take this medicine if you have a known allergy to penicillins and cephalosporins group of antibiotics. 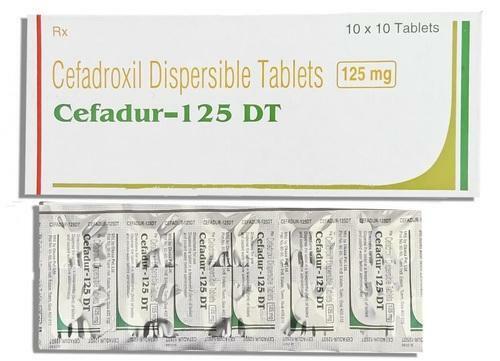 Cefadur 250 MG Tablet DT is a broad spectrum antibiotic used to treat a variety of conditions caused by bacteria like infections of the skin, throat and urinary tract. It should be taken with food to avoid nausea and vomiting. This medicine is not recommended for use in case of a common cold, flu or other viral infections since it is active against infections caused by bacteria only. 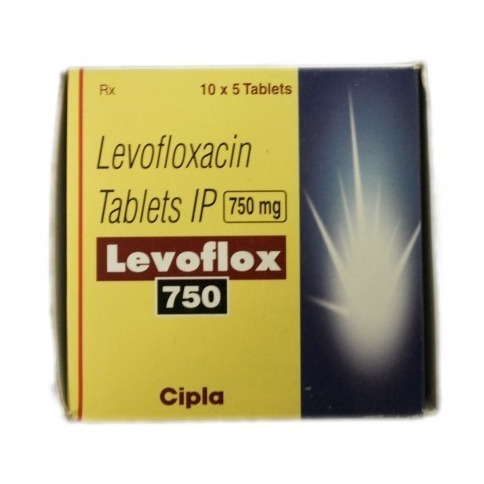 Levoflox 750 MG Tablet is a broad-spectrum antibiotic used to treat a variety of conditions such as bronchitis, pneumonia, infections of the bladder, etc. This medicine is not recommended for use in case of a common cold, flu, or other viral infections since it is active against infections caused by bacteria only. This medicine should be used with caution in the elderly population as it increases the risk of tendinitis and tendon rupture. 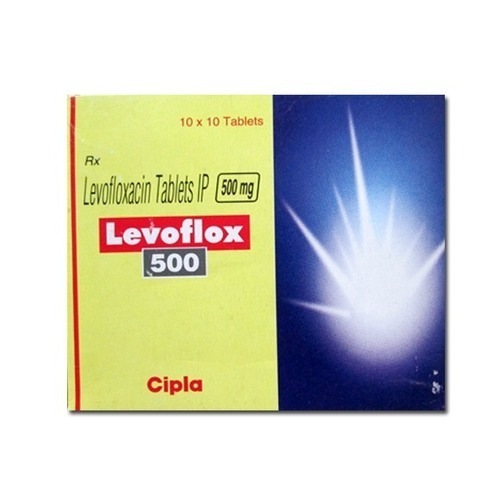 Levoflox 500 MG Tablet is a broad-spectrum antibiotic used to treat a variety of conditions such as bronchitis, pneumonia, infections of the bladder, etc. This medicine is not recommended for use in case of a common cold, flu, or other viral infections since it is active against infections caused by bacteria only. This medicine should be used with caution in the elderly population as it increases the risk of tendinitis and tendon rupture. 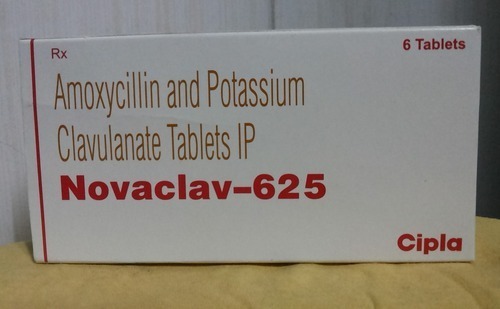 Novaclav (500/125 mg) Tablet is a combination medicine used to treat a variety of bacterial infections. Amoxycillin interferes with the growth and division process of the bacterial cell wall while clavulanic acid ensures extended anti-bacterial activity. This combination is used to treat bacterial infections of the lungs and airways, middle ear, sinuses, skin, and the urinary tract. 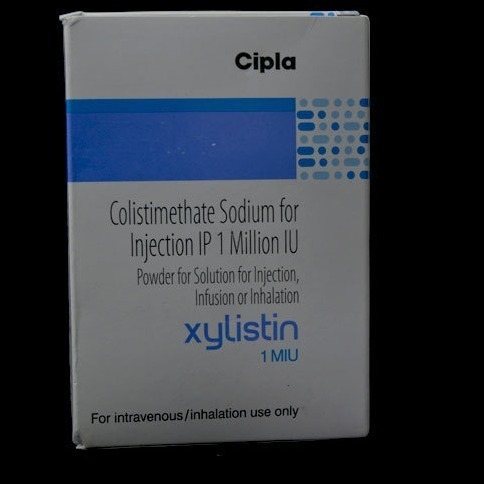 Xylistin 1 MIU Injection is an antibiotic used for the treatment of infections caused by susceptible gram-negative bacteria. This medicine should be used with extreme caution in patients with a history of kidney diseases due to the increased risk of severe adverse effects.